No more than a few days after some mid-week Premier League, we have another set of fixtures coming our way over the weekend! As we look forward to more top-flight action, it makes sense that we focus our fantasy football tips not only on the sides that have the most favourable fixtures, but also on those which are in the best form. As always, we’ve also got extensive analysis on every Premier League game which we’ve used to find some of the best options available for gameweek 26. 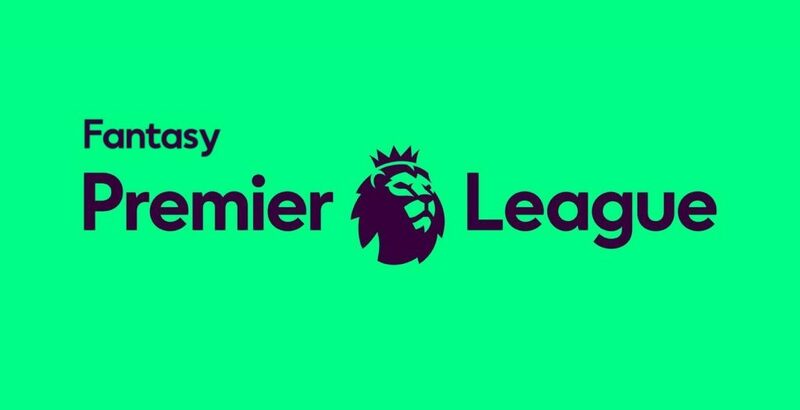 Be sure to bookmark and follow our weekly Fantasy Premier League blogs for fantasy football tips throughout the 18/19 season! 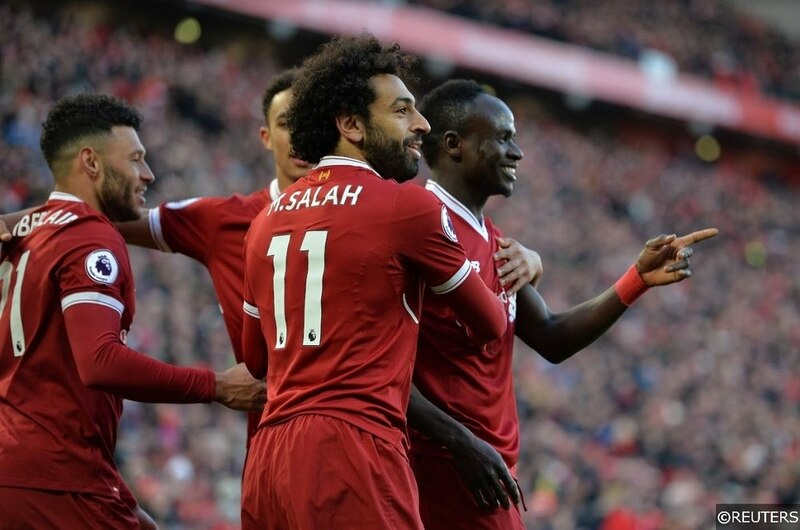 Salah disappointed fantasy football managers with back-to-back blanks against Leicester and West Ham, but there are a few reasons why he’s the favourite to return to the scoresheet against Bournemouth on Saturday. He recorded his highest haul of the season against them back in December – a hattrick worth 21 points – and the Egyptian scored a goal in each of his two meetings with the Cherries before that. Salah has also produced double digits in three of his last four outings at Anfield, which doesn’t bode well for a Bournemouth side struggling defensively on the road. Eddie Howe’s men have conceded two goals or more in seven of their last eight Premier League away days, and Salah and teammates Sadio Mane and Roberto Firmino are all prime candidates to take advantage of that. 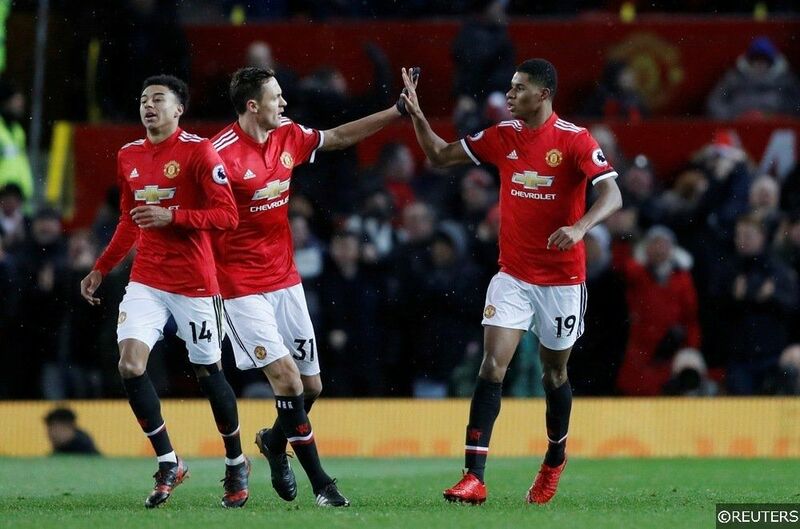 Seven Premier League wins in eight under caretaker manager Ole Gunnar Solskjaer has made Manchester United assets very much worth consideration. Solksjaer looks to have restored United’s attacking values and one of the players to have benefited – alongside Frenchman Paul Pogba – has been Marcus Rashford. He has started every league outing under the Norwegian, scoring six and assisting two in the process. In fact, over that period, Sergio Aguero is the only striker to be involved in as many goals. As for shots on target, no other forward has recorded more than Rashford’s 19, with teammate Pogba not far behind (18). Rashford has another huge opportunity to keep this form going away to Fulham on Saturday. Claudio Ranieri’s men hold the worst defensive record in the Premier League and have conceded at least two in each of their last six outings. 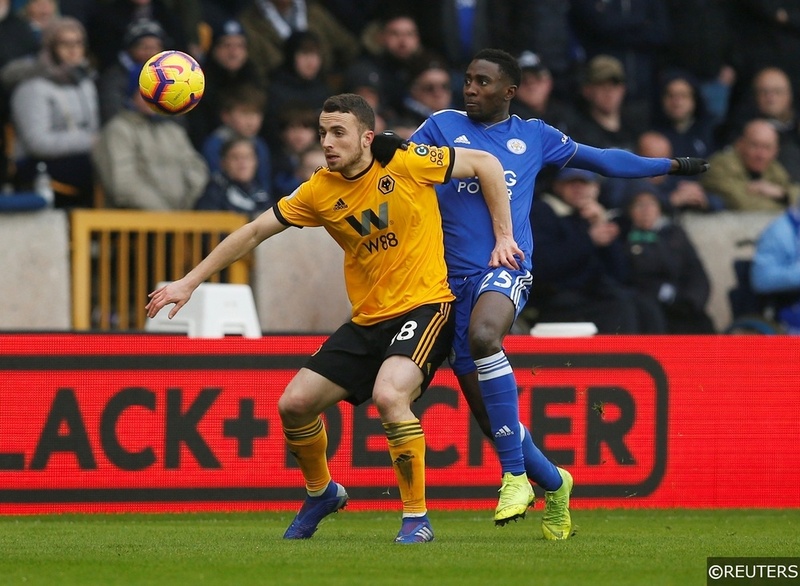 Diogo Jota was a very interesting prospect for FPL managers at the start of this season. His proven eye for goal in the Championship – Wolves’ top scorer (17 goals) and ranked second overall for shots on goal (120) – meant he was a differential choice for those that thought Wolves were going to do well. However, the 21-year-old disappointed with no goals and just one assist from his nine Premier League starts. Fast forward to 2019 and Jota looks to have found his feet after being repositioned as a supporting forward to Raul Jimenez in a 3-5-2. He recorded one assist last time out against Everton which takes his total to five goals and four assists from his last seven appearances. He’s nursing a knock but should be fit in time for Monday’s match against Newcastle. Rafa Benitez’s men have only managed one clean sheet in their last seven Premier League matches on the road. 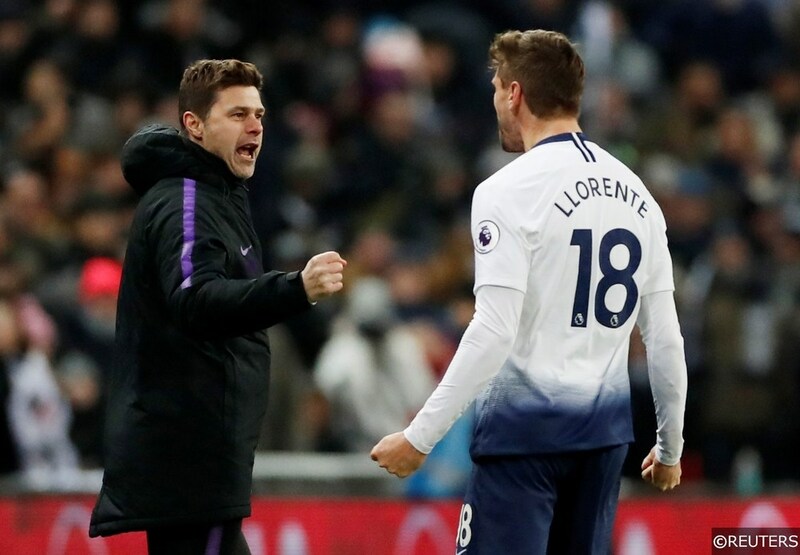 Fernando Llorente looks destined for more game time after helping Spurs to a win in each of their last two Premier League matches against Watford and Newcastle. He’s expected to partner Heung-Min Son up front in Pochettino’s 3-5-2 system, and if you’ve watched any of his game time since replacing the injured Harry Kane, you’d know he’s had plenty of chances. Llorente has taken four shots on goal in each of his last three appearances and he’s not doing too badly as a creator either with five key passes over the same number. From that, he’s tallied one goal, two assists and three bonus points (alongside an own goal) for a total of 16 points – not too bad for a forward that sets you back just £5.7m! He has potential for more against Leicester City on Sunday. Matt Doherty has been consistently impressive in his role on the right-hand side of Wolves’ 3-5-2 formation and at times you’d be forgiven for thinking he was a winger. Like Chelsea’s Marcos Alonso or Liverpool’s Andrew Robertson, he’s a very attack-minded defender, but unlike those two, he’s a much more affordable option. Wolves’ recent defensive record hasn’t been much to write home about but that hasn’t affected Doherty’s returns too badly. He’s produced two assists in his last six outings… imagine how he’ll do when they do stop conceding goals! Wolves face Newcastle on Monday, who have failed to score in a whopping 42% of their Premier League away days. Categories: Blog, EPL Fantasy Football, Fantasy Football, and Premier League. 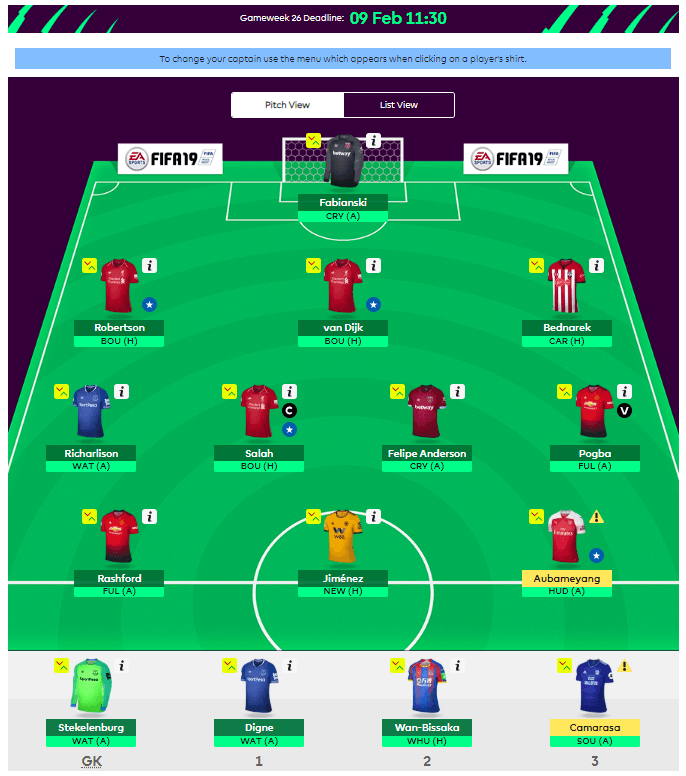 Tags: Diogo Jota, fantasy football tips, fantasy premier league tips, Fernando Llorente, fpl gw26 tips, Marcus Rashford, Matt Doherty, Mo Salah, Paul Pogba, Raul Jimenez, Sadio Mane, sead kolasinac, and Vicente Guaita. Team Tag: arsenal, crystal palace, Liverpool, manchester united, tottenham, and Wolverhampton. League: England Premier League. Sports: Football.